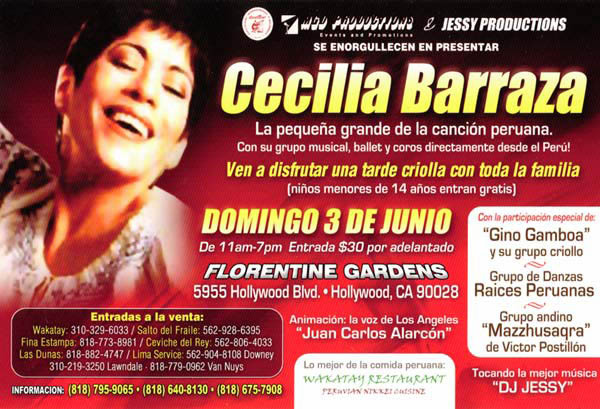 700 S. Almansor Court St.
7511 Raymond Ave., Los Angeles 90044 . Chinese American Dental Society of Southern California. Feel free to dance along as this group takes you on a tour of their native Peru. 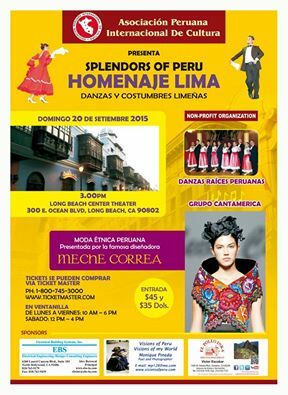 Raices Peruanas is a cultural institution dedicated to spreading the Peruvian culture through song and dance. 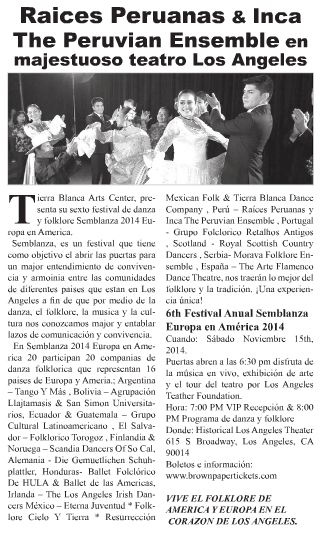 The group's members include native-born Peruvians, as well as American performers of Peruvian descent, creating a rich, all-encompassing blend of their shared culture. 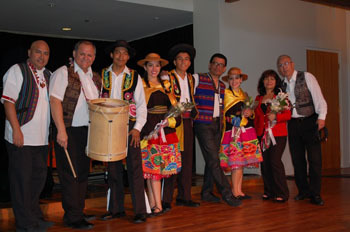 The performance includes two traditional Peruvian dances that originated in the Andes mountains, as well as Marinera Norteña, the national dance of Peru. 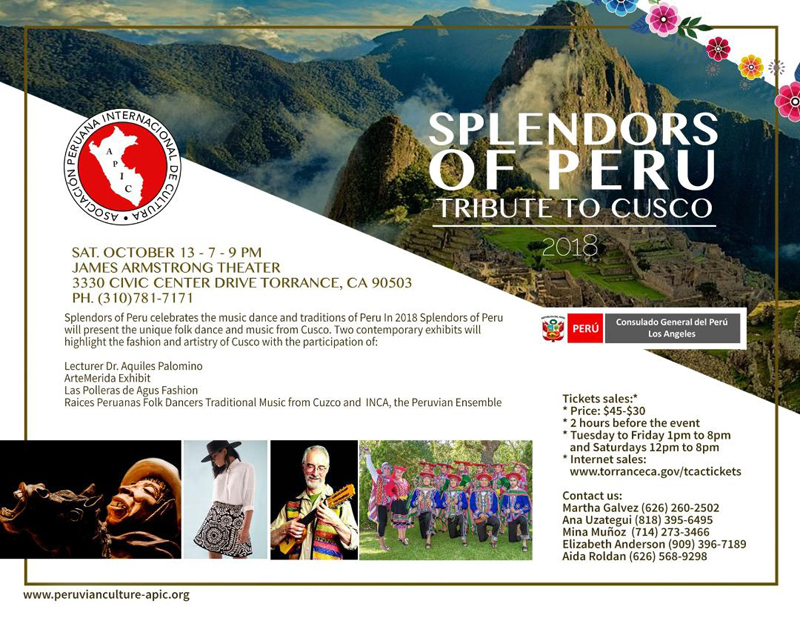 In between, musicians will be performing traditional Peruvian folk songs. live performances and more! See it before it closes on January 18, 2016! 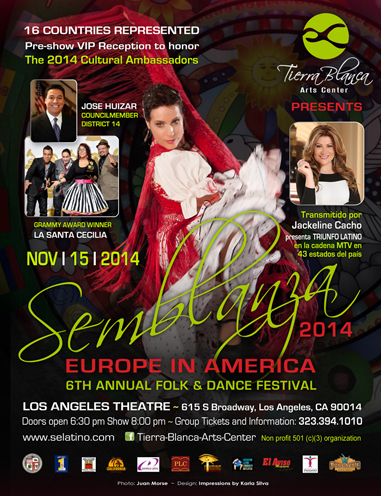 Saturday November 15th 6:30 p.m.
3600 Workman Mill Road, Whittier, CA 90601.
and dressing rooms are available. We are excited to have you as part of our event. It is the most emblematic dance to Cuzco, the ancient city of the Incas. 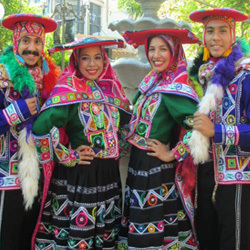 11:25am Assembly over – Students to courtyard for Peruvian Tasting & Giddy Up Ranch Petting Zoo (Alpacas & Llamas), Art Exhibit in Art Annex, Raices Peruanas to perform Valiche dance outside. * Food delivery/set-up begins at 9:00am. Caterer: Playa Blanca Restaurant in El Segundo. 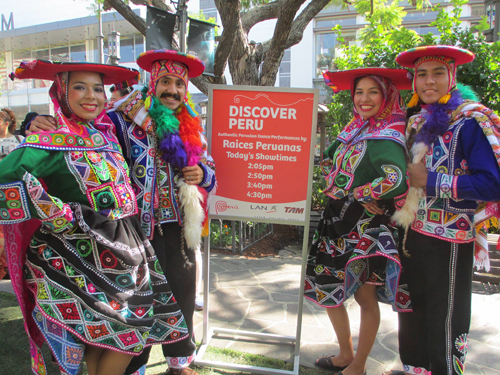 In September 2013, we brought Peru's Hidden Treasures to The Grove Los Angeles! We hosted hourly LAN Airlines ticket raffles, an exciting photo booth with a green screen background and performances by Raices Peruanas. We inspired thousands of US Travelers to plan an unforgettable trip to wonderful Peru. Celebrating its 30th anniversary, INCA, the Peruvian Ensemble presents a vibrant evening that pairs the fiery Argentinian tango with the joy of indigenous Peruvian music and dance. INCA brings the mountain and coastal areas of Peru to life on the Ford stage, presenting the folk dances of Cusco, Carnaval de Tinta and Carnaval de Umapata. Argentinian selections include Afrotango Ensemble, led by drummer and percussionist Juan Pedro Estanga, performing contemporary versions of tango classics, and vocalist Laura Valle, who brings passion and intensity to interpretations of tango. Ara Tokatlian (sax and flutes) from the legendary Argentinian rock band Arco Iris and the Buenos Aires Tango Dance Group, led by Jorge Visconti, round out the program. 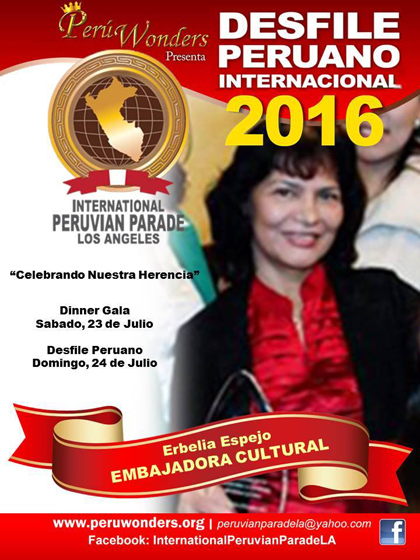 music and dances, typical Peruvian delicacies and drinks. 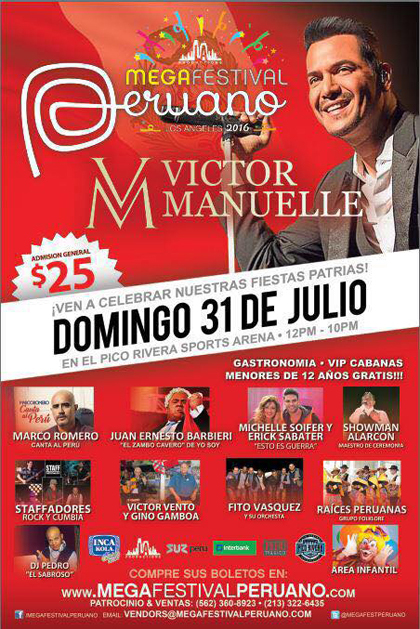 Come share a great time with family friends! Everyone is welcome. 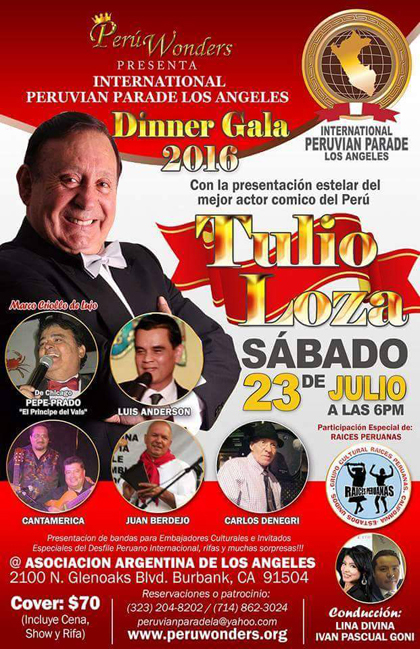 baile y comidas tipicas del Peru. Familia, amigos y publico en general son cordialmente invitados. Concierto de Música y Danzas del Perú. Grupo de Danza Raices Peruanas. música: Inca the Peruvian Ensemble "INCA", danzas de la Costa, Sierra y Selva. LUGAR: South Pasadena High School AUDITORIUM. 2118 Nordhoff st. chatsworrth , ca. Bolivia andina, el CHASKY cantante de huyanitos de huancayo.